Catamaran excursion + speedboat adventure. 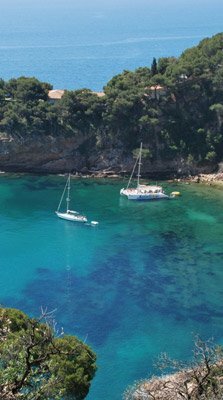 This is a 3h 30min excursion from the moment you are picked up from either Tossa de mar or Lloret de mar beach with lunch included and a free bar. (Great BBQ, fruit salad to follow + all the soft drinks that you can drink)! You can chill on the sundeck or take advantage of the entertainment and DJ's aboard. Also we stop in a cove where you can swim, sunbathe or just play with the inflatables. A fantastic activity for the perfect weekend away in the sun! Indulge your adrenalin junkie with an exhilarating trip on the speedboat ‘Splash’, like the ones used by the UK’s RNLI Lifeboat service. You’ll stop off at some of the secluded bays along the way and visit an authentic 1930s smuggler’s cave, where you can jump in and swim. The excursion lasts about an hour and a half and your stags will be the only group on the boat, guaranteed. Combine pure thrill and tranquillity and have an amazing stag sea adventure! Catamaran, Catamaran Party, Fiesta, Catamaran, Lloret, Costa Brava, Barcelona, Tossa de mar, Platja d'aro, Nautica, Lloret de mar, Stag Weekends, Hen Weekends, Weekends Lloret de mar, Girona, Adventure, Vaixell, Bateau, Mediterranée, Mediterranean, DJ's Catamaran, Group Activities, Boat Excursions, Catamaran hire, Teambuilding, School Groups Costa Brava, Parties, Sensation, Cruise, strippers-barcelona. inscrita con el nº 402711/04 el 11-02-2004 en la dirección de tributos de la Generalitat de Catalunya.